Update August 25, 2016: A few more changes have made it to the Overwatch PTR. 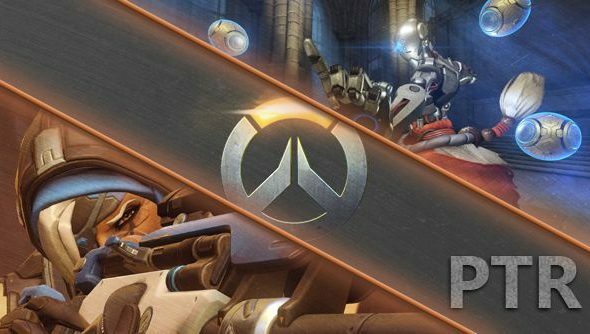 Geoff Goodman popped up on the Overwatch forums to explain some further changes made to the Overwatch PTR as part of the Season 2 patch. That’s not due until September 8, so they’ve got a little more time to test everything. For more competition, check out our list of the best multiplayer games. Quick melee is no longer interruptable. This means that the animation has to finish before another ability can be used. Previously there were a heap of abilities that could be used to cancel the animation, effectively outputting damage a little faster. The competitive Overwatch subreddit has a full list and discussion of what’s changed, as well as which abilities can still interrupt – mostly non-damaging ones. Hanzo’s projectile size has been reduced by 33%. This is likely still larger than on Live, as projectile sizes were reverted. It should mean that while Mei’s hard-to-hit icicles still have the width of most small doors, Hanzo will be powerful while still having to aim. Soldier: 76’s burst firing was changed to become inaccurate quicker, but very speedily return to perfect accuracy once you stop firing. All in all it makes bursting nicer to do. Again, the competitive Overwatch subreddit has a write-up of exactly how its changed and what works now. Goodman’s full post is over on the Bnet forums if you want to have a read. These changes are now live, so you can test them yourself on the PTR. Instructions for access are at the bottom of this post, along with the initial changes coming in the season two patch. Original story August 22, 2016:If you participate in Overwatch’s public test region, you can test out how Season Two of Competitive Play will differ from the first, with some big changes coming to skill rating and all-new tiers to identify yourself by. There are also some huge changes coming for much of the roster. Your existing profile will be used in the PTR, though any experience or loot boxes earned there won’t travel back with you. Saying that, you’ll still need to be at least level 25 to try Competitive Play, so probably don’t bother firing up the PTR unless you are – it only currently supports 10,000 concurrent players, after all. Elsewhere, Hanzo, Mei and Mercy are getting buffs, while Lucio Zenyatta and more are being nerfed. You can see all the many character changes and general tweaks below. According to a post by Jeff Kaplan on the forums, the new Overwatch map Eichenwalde is now available on the PTR. This joins a pair of new Reinhardt skins – which you can see in the video below- as new content. Step 5: Once the PTR client is installed and updated, click “Play” to begin. In order to access the PTR, you must have installed Overwatch and logged into the game at least once. If the PTR is not available for you after following the steps above, trying logging into Overwatch, exiting the game client, and then launching the PTR again.